Homer’s frustration is mirrored in the lives of the other characters. Tom, the novelist Homer is supposed to help, is thwarted in his every move. His girlfriend rejects him because he has low self-esteem. The utilities are turned off because his brother won’t pay his share of the rent. Someone at the newspaper where Tom is employed is stealing Tom’s work. The way Tom sees it, his only hope of getting out of his dead-end job, restoring his self-esteem, and getting his girlfriend back, is to get his novel published. But no one, not the agents, not his girlfriend, not his brother, not even God, likes its ending. How Tom’s path converges with those of the other frustrated and fuming characters comprises the darkly humorous, and sometimes hilarious, stuff of this novel. 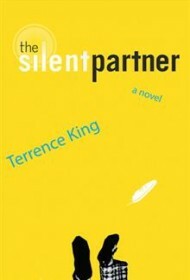 King has a knack for slapstick, witticism, and ironic commentary, and he packs each of the novel’s subplots with observations informed by his uniquely quirky sense of irony. This is a novel that will appeal to anyone who enjoys magical realism or has an appreciation for the wry, unexpected turns in life.